A pair of 18kt yellow gold and onyx earrings. 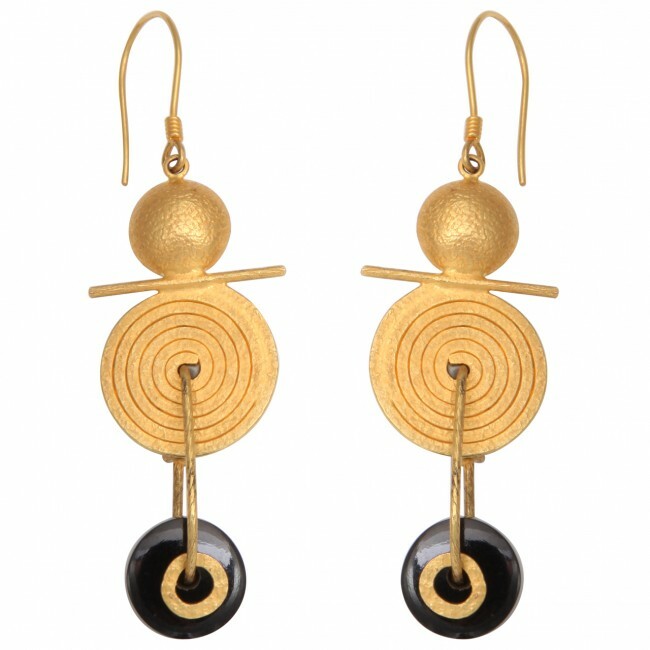 The earrings are composed of 18kt yellow gold discs, swirls, sticks and onyx stones. Pun intended.